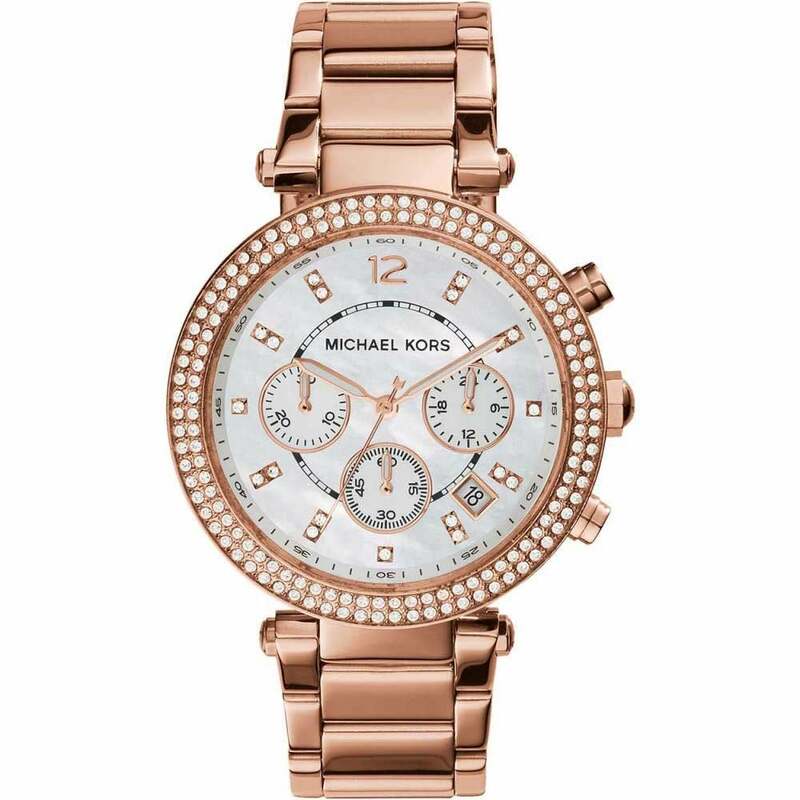 This elegant Michael Kors watch has a soft feminine combination of PVD rose gold plating with a white mother of pearl design. The fresh colour pallet is accented with a double row of cubic zirconia on the bezel. The clear dial has further stones set as the hour markers. As well as being a very stylish watch this design has a practical side with both e date and chronograph function. This is an all in one watch, sleek, elegant and practical. All Michael Kors watches have a 2 year international warranty and comes in authentic presentation box.